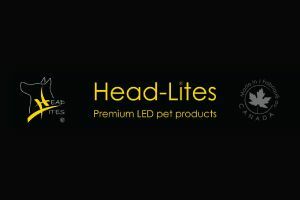 Head Lites Pet Products Inc. This amazing Canadian company produces high quality, LED-based collars designed to help keep dogs safe in low light conditions. Check out how rad our resident Black Dog Ninja looks with his custom collar.